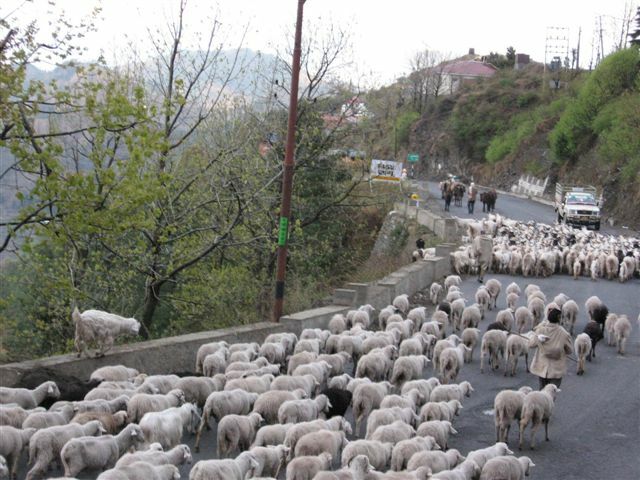 Doing nothing in Fagu, beyond Shimla - Ghumakkar - Inspiring travel experiences. When we, five members of our family,decided to have a week’s break after the 10th Board exam of our grand daughter,we thought of Shimla which we have not visited for many years, though we go to hills almost twice a year. The drive to Shimla from Gurgaon became quite easy after we read the very detailed and valuable information about the route right up to Stutter wine shops and Shimla. I must thank you all at ghumakkars for making trip to Shimla an easier trip to drive. Your article was most useful, especially avoiding almost dozens of traffic police at various points in Panchkula and buying Stutter wines. Also your tips about avoiding jam at Panipat flyover proved very useful. Some pictures of Army Heitage Museum, Annadale Shimla, showing the Surrender document of East Pakistan,accepted by Gen. Jagjit Singh. Place worth visiting while in Shimla..
After having stayed at Hotel Peter Hoff of HP tourism, and roaming around crowded Mall, we decided to go to Fagu,which we had read about . We always prefer small quite hill places away from crowds and noise. I must tell you readers about Fagu-which is 23km away from Shimla (and 3km from Kufree) is a great place for doing nothing and morning walks among apple and potato fields. 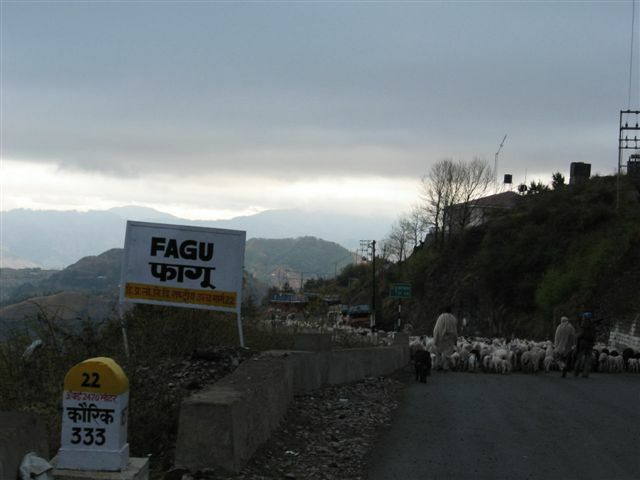 Fagu is ,situated on the Hindustan Tibet Road at a height of about 2500 mts. We drove through Chhotta Shimla,and other crowed parts on to the road to Wildflower Hall and Kufri, stopping on the way to enjoy the fantastic views. You go thro the Victory Tunnel to CHHOTA SHIMLA- part of Kannaur Shimla, through Sanjauli,,cross another tunnel, through wooded forest toward KUFRI which is about 19 km from Shimla ,thro KUFRI by-pass and Fagu is 3km from Kufri on the Hindustan -Tibet road. It took us about 90 minutes, in our Skoda to reach the hotel of HP Tourism — Peach Blossom. Its a small village with only few small typical shops selling essential, nothing else. But the place is dotted with Apple gardens, terraced fields, potato fields etc . There was another group of People from Mumbai–all senior citizens, enjoying the place. We went down the hill though the apple gardens and fields. you can literally walk for hours- surrounded by Himalyan range so close,you could almost touch it. We were lucky that during our stay from 3rd April to 5th April, it became very very cold and we could see fresh snow falling on the peaks, and the whole area was totally covered by low clouds for hours. HP tourism has a property “PEACH BLOSSOM” which has been recently built. For a quiet village holiday, a nice and reasonably priced place. Next day when I went out for morning walk on the Hindustan Tibet Road, we came across about a family of 10 cow-herd–sheperad with about 6000, goats, lamb and sheep .When we talked to them we were surprised to learn that they were coming from Rajasthan and going to Kashmir to sell their herd. They told us that this the normal route they always take to kashmir from Rajasthan which takes them about 2/3 months–walking. Next day we went out to visit a temple which is situated just outside the hotel–but you have to climb about 1000 steps which were quite steep. Half of our team didnt dare, but once you reached on the top at the temple, you were on cloud 9. So if you enjoy this kind of nowhere-place with no shops or malls, and just hotel meals(which are pretty decent) then may be you would like this place, atleast for couple of days. There is nothing to do except walk in the large Apple Orchards and Potato Fields, or just sit in the hotel grounds, enjoy mountain views and read books. In Fagu, you can be surrounded with clouds, allover. An alumni of Kirori Mal College, University of Delhi, I left Delhi in 1958 and moved to Bombay to find a job before getting married to my college friend. We left Bombay shortly after to go off to London, which has other experiences , memories, and another part of life travel. I returned to Mumbai in 1965 and spent next 35 years in Mumbai before returning to my home in Delhi in 2008. Now retired and settled back in Gurgaon (close to Delhi), I find Delhi an altogether new place. Next articleGo Goa Gone ! Thank you Jatinder for helping us republish this old gem. This time I didn’t read the story but I read the comments and it is a rewarding experience. Wishes. Thank you Nandan for republishing this story and really it is a gem. @Jatinder Ji – I did not know about this place until I read your this blog. I have taken a note of it and will surely give a try whenever I revisit Shimla. Thanks for sharing this little hidden gem. Sethi sir, lovely post. Fagu certainly looks like a little oasis of serenity among the madness of Shimla. its really a awesome experience if people stay in Fagu…. I had stayed in Fagu in 2008, same hotel blossoms… a nice place to stay… we had tracking from Fagu to Kufri… have you seen the stairs in front of hotels.. that’s leads to Kufri.. that was an awesome experience for me also. Thanks. We actually stopped at Kufri, before coming to Fagu. I remember that there was a temple right out side the hotel. You had to climb almost 1000 steps to reach there. I never went up, but my son and gran-daughter climbed right to the top. I didn’t know that that led to Kufri,. We had gone to Fagu long time back and we may not be able to give you the latest info. You can go to the site the Himachal Pradesh and you will find all info there. They have a Hotel Blossom there which was pretty good. But check on the HP site for rout and bookings. Weather should be good at this time. Thanks for the information. send us if you have any literature. Thanks. Thank you for the nice information. The HPTDC hotel is called Apple Blossom I presume? Right you are,Mridula,.It is Apple Blossom.. There is nice small hotel on the Mall,Shimla, also called Blossom. Very insightful review. With such little information on fagu its amazing to read ur review. Hope you continue writing n exploring like this. All the best! it was a nice write up. Thinking of going to Fagu in October with family. I hope there are other places to see ahead of Fagu. Sunil, wonder how you got on to this Post, years after we posted it. the place may have changed by now. You can come back and give us your impression. You can contact the tourist department for details. Shimla,Kufri and Fagu should be getting quite pleasant at this time. Enjoy the nature, away from this Gurgaon. I just happened to see this blog; Fagu holds a special place in my heart since my daughter took her 1st steps 3 years ago. We stayed at Hotel Snow King : a nice place with a revolving restaurant, a room dedicated to Raj Kapoor and an adventurous 2 Km steep final approach road to the hotel entrance ! Would love to visit again ! Darjeeling has much more to offer than its tea estates. 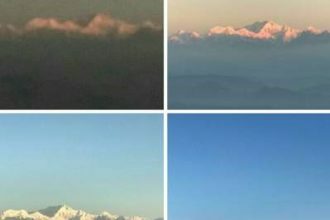 Visit Darjeeling to witness its serenity, its colonial charm. Sharing tips for a memorable visit.